Bucolic or Ghetto, this Fence? Welcome to Homolopnik, the Jalopnik for homos, er, home-owners! 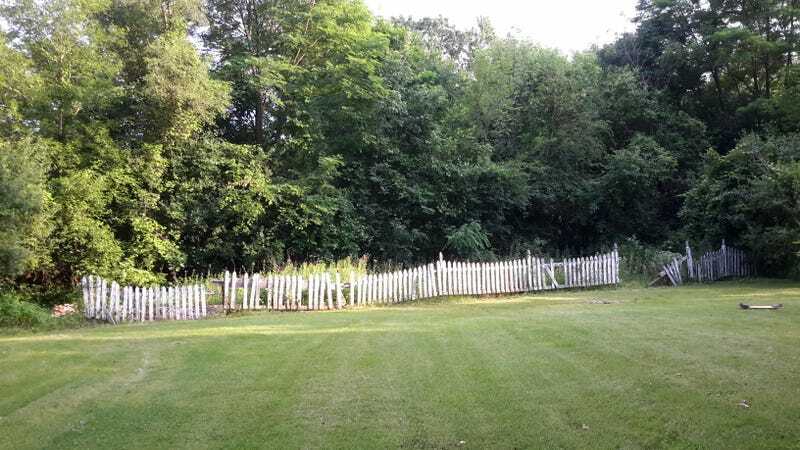 I’m completely conflicted about what to do with this picket fence that lines my back yard. I recently purchased an 80 year old home just outside of Detroit and from the looks of this picture, the fence is almost as old as the house. I am conflicted about the fence because I can’t be sure if it is just distressed and pretty or just ugly. I mean it would cost a lot of money and time to make a new fence look so “authentic” and so austere. Whatta you guys think? Keep it or trash it?